Email not displaying correctly? View it in your browser. Vancouver's most expensive flats ... are timber! 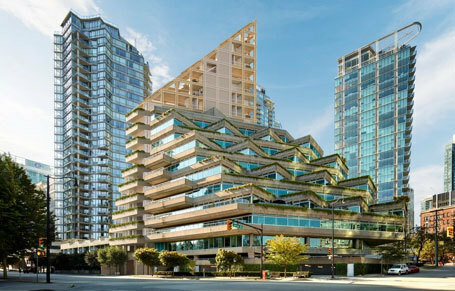 A 71m-tall timber and concrete building designed by Japanese architect Shigeru Ban for Vancouver will contain 20 apartments valued at more than $2.4m each – Vancouver's most expensive. PortLiving said that the interiors were a "true representation of Shigeru Ban's work: clean lines, pure, and blanketed with natural light resulting in the feeling of exposed spaces. 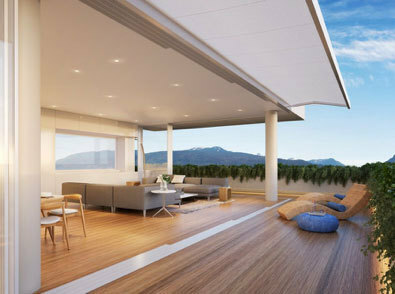 "Custom fixtures and features throughout the building, including door handles, cabinet pulls, and millwork have all been designed by Shigeru Ban, reflecting the developers’ commitment to the ultimate residences exuding exclusivity and livability." Macario Reyes, founder of PortLiving, said: "Shigeru Ban and his team's attention to detail is unparalleled and have ensured that each of these homes is truly unique to any other in Vancouver. To further enhance the ownership experience, residents will enjoy a dedicated concierge team, and a plethora of amenities ensuring a best in class lifestyle." This exemplar development illustrates the strong progress that timber is now making to become the material of choice for designers, engineers and developers. These challenges further emphasise the role for Off-Site DfMA (Design for Manufacture & Assembly). They also point up the need for greater collaborative ‘partnering’ between architects, builders and manufacturers. The greater speed, accuracy and quality that can result from manufacturing components in a dry, controlled factory environment gives builders a much better chance of achieving improved on-site build quality AND controlling costs. While resistance to the change to DfMA has been the norm, the wish of most UK Builders to deliver excellent customer service and top notch homes is now driving an increasing number to choose Off-Site for their developments. Also, as "OffSite Hub" note, architects and designers are moving toward DfMA, something w have been encouraging for over 20 years. The emergence of LA Developers will only speed up this process. To assist them in doing so our "Easy Timber Frame" now offers standard size modular timber frame elements for them to use as a design base, cutting down on technical design and engineering to produce win-win results. Our specialist services and CUSTOM homes division deliver best value and protect the interests of land owners, house-builder developers, professionals and private individuals seeking to build their dream home. Our off-site construction systems also reduce the amount of material that gets wasted on site, helping to avoid land fill, hazardous waste separation and handling, They also deliver better value for you and your customers. Call us to arrange a factory visit and discuss your ideas and needs with our in-house team of professionals for your next project. You'll be glad you did! For really attractive, flexible, affordable and HEALTHY Low Energy Homes, call, send us your drawings, or visit our manufacturing plant now. We'll have more information for you next week. In the meantime, head to Build News for your daily insight into the construction industry. "Technical Timber Frame Designers & Builders of UK's 1st Amphibious House"
You are receiving this email because you have previously requested information from us or enquired about our products or services. If you would prefer not to receive anything else from us, please use this unsubscribe link rather than reporting it as spam. We take spam-avoidance seriously and will honour all requests to be removed from our mailing list.